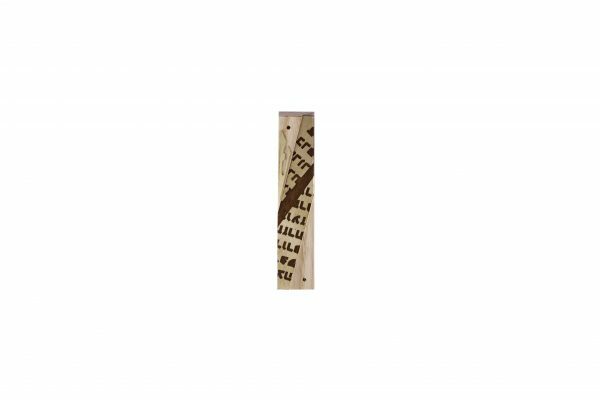 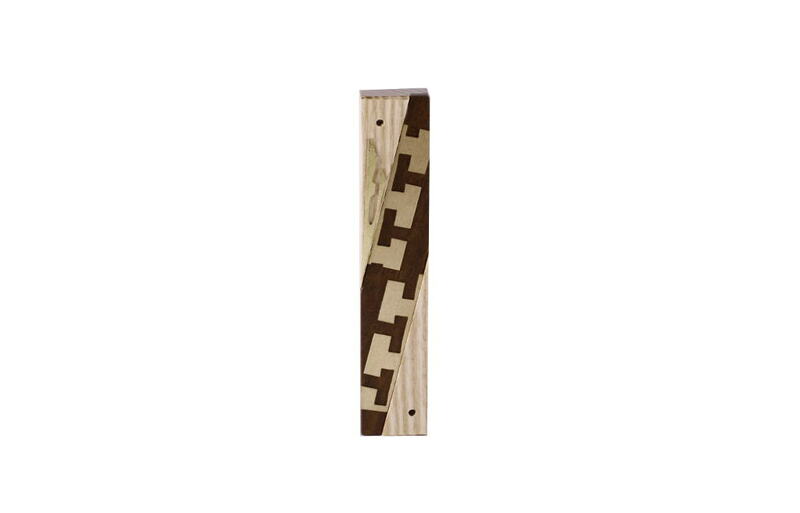 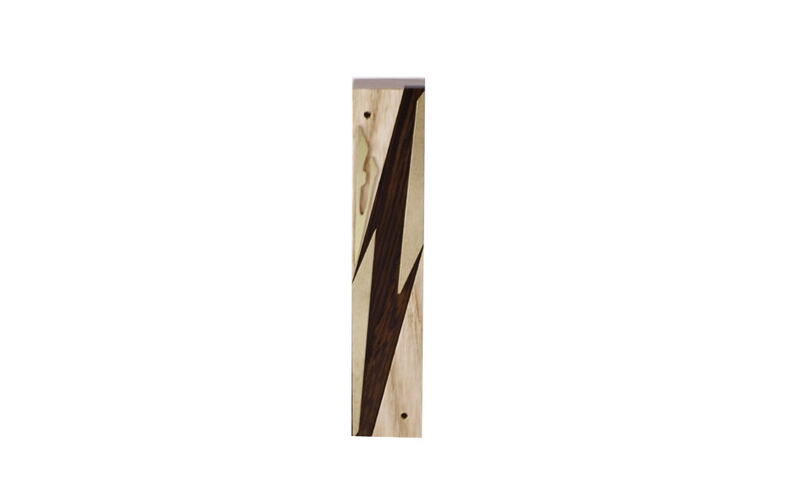 Small and compact, this designer wooden mezuzah for the Jewish doorpost has accents of brass on a background of wood. 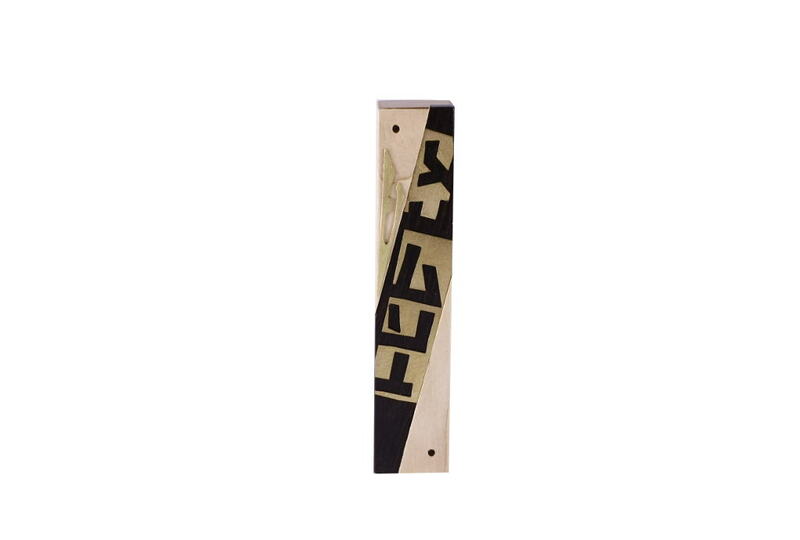 It has been adorned with a stylized “shin” made of brass. This Designer Metal & Wood Mezuzah Case for the Jewish home has accents of brass on a contrasting background of wood. 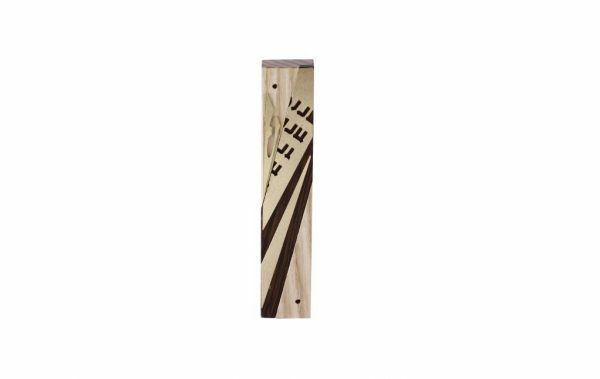 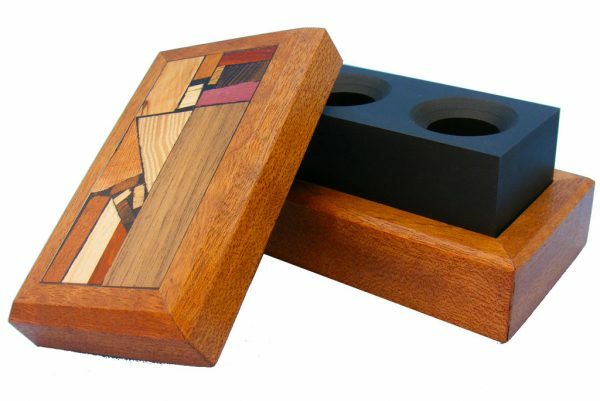 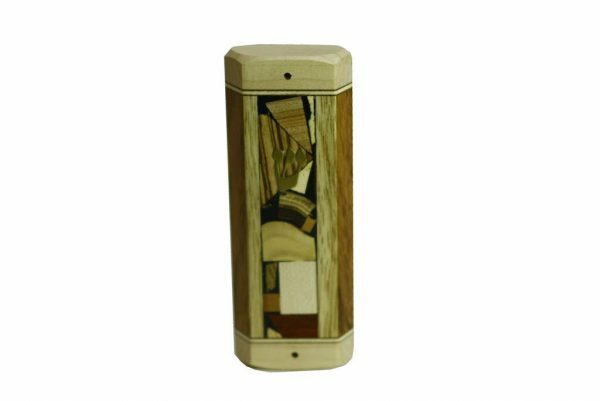 This wooden mezuzah case is small and compact, made from one piece of wood. 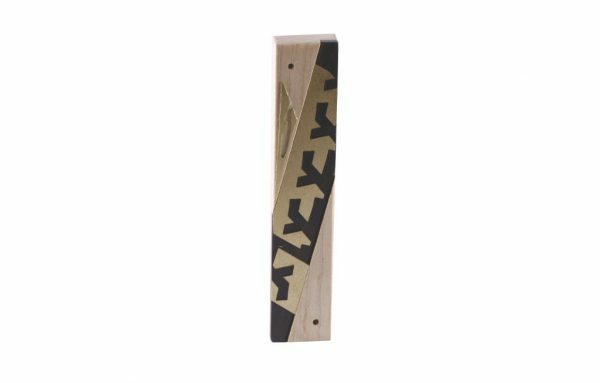 It has been adorned with a stylized “shin” made of brass. 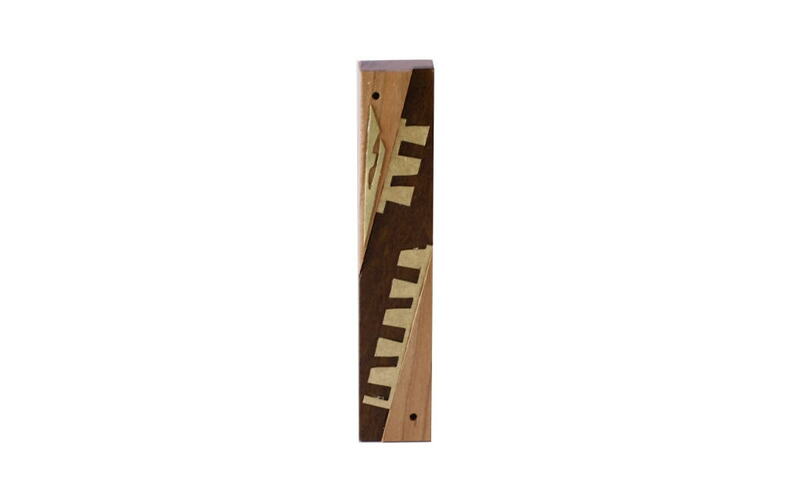 It comes with nails for affixing to the door post, and a care card. 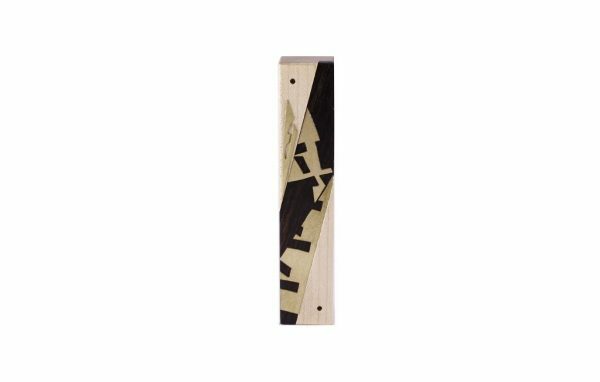 Each mezuzah is unique and one of a kind. Limited quantities. 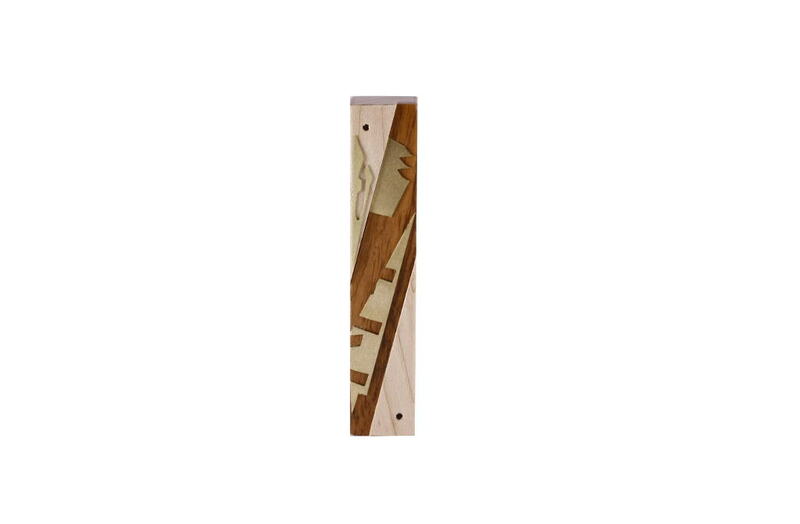 Click on the magnifying glass when looking at the photos above to choose your style (1-12).